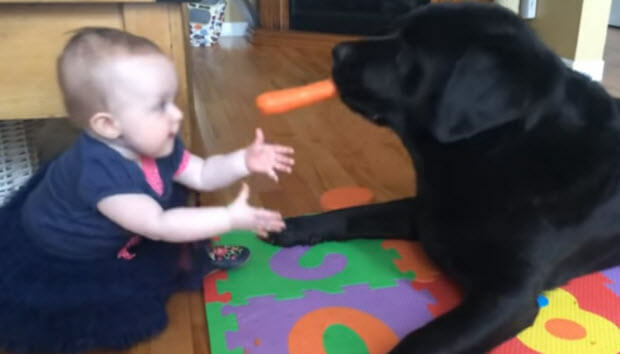 This is a very cute 10 months old baby playing with her labrador retriever. Labrador got a carrot and he is playing with it before eating it. The little girl wants this bright object that she sees in dog’s mouth. To her it is just a toy. Surprisingly the dog didn’t resist and on top of that this Lab was a very gentle. 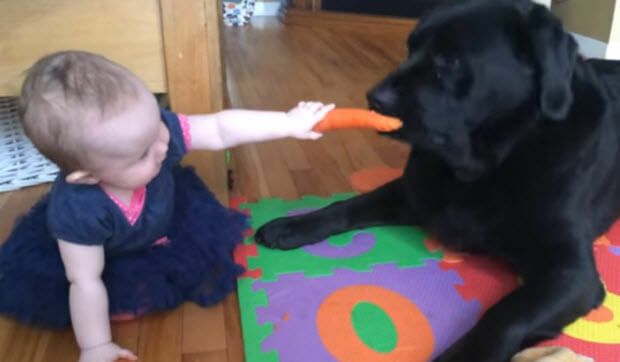 He gave his little owner the carrot, then took it again. They went back and forth a few times before the pooch decided to walk away and run some dog errands.